The process of auto restoration seems like an extremely difficult and expensive task. But there are ways to make it less complex as well as cost less. But it is quite time-consuming. 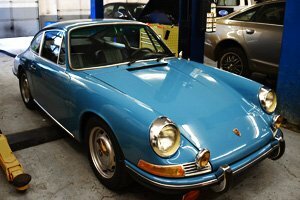 Full restoration of a car can take 1000 hours or more. Parts needed are not always easy to find and some parts may be very expensive. Some parts can be replaced by less costly alternatives. One of the interesting ways to save the restoration cost is by buying a car that is already partially restored. You can purchase an automobile from someone who started the restoration process but is unable to complete the process. Otherwise, you will need to search for an affordable vehicle that you would like to restore to “like new” condition. Networking with classic car enthusiasts who find cars regularly can help you get started. You can also check out related advertisements online or in magazines. It This process should not be rushed as you want to end up with a car that you will enjoy. Auto restoration is not as simple as it seems. It can require a complete exchange of auto parts, especially in case of a classic car. 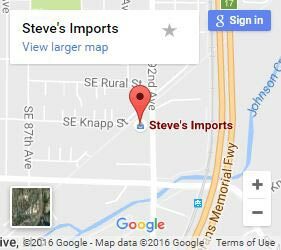 Local vehicle salvage yards are a great place to start searching for the parts that you need. This is by far the most economical route of finding the parts. You can also check for the parts online. There are websites dedicated to finding and selling vehicle parts and they are often fairly economical. An online collector group may be another option for finding parts. 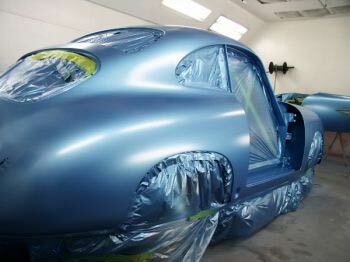 Restoring a car will require a large space such as a garage or shop. You want to shield the vehicle from outside elements as well as yourself when you are working on it. Specific automobile tools, experience, and a manual specific to that vehicle are also essential items for this process. The amount of work that needs to go into restoring a vehicle depends on the condition it is in. Most of the work can be done by you in your spare time if you have the expertise. However, some jobs, such as painting, are best done by professionals. Do not rush the process. It may take months or years but you should do the restoration slowly and carefully. If you are determined to stay on budget, take your time and search for the least expensive parts. • Purchase the Car: Checking the car thoroughly and noting how much restoration will be needed is essential. The amount of work needed for the car will determine the overall budget of the project. • Check for genuineness: If you choose to only use branded and original parts for your vehicle, you will want to ensure that they are genuine. But be warned, they will likely be more expensive than after-market items. You can find cheaper original parts sometimes, but it may take a lot of effort to find them. • DIY: If you are skilled in vehicle restoration then surely this project will cost you less. If you are unsure of your abilities, you may want to rely more on the expertise of a professional. Fixing the errors will cost you much more in the long run. • Determining the Budget: First of all, you should make a list of all the inventory you will need. This will include auto-parts, paint, tires, accessories, tools and professional help that may be required. Once you make the list, you will be able to determine the overall cost roughly. Most budgets tend to overflow so add at least 30% of the assessed cost. These are some of the steps included in auto restoration. You should work on your schedule and include help if it is needed.